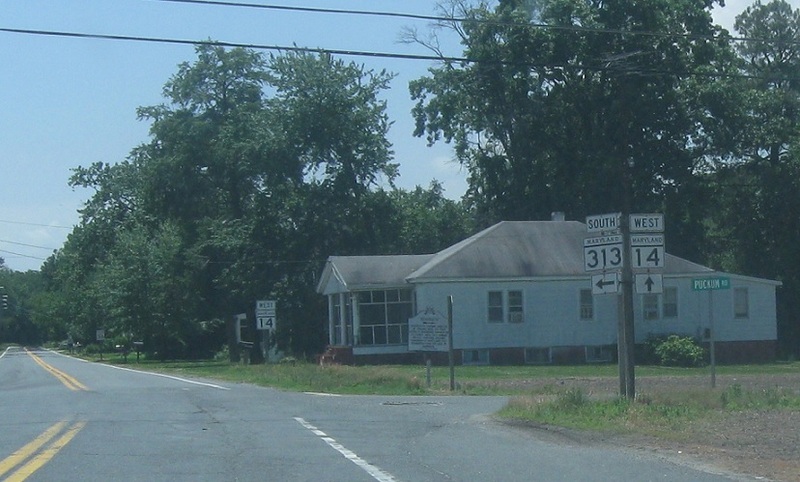 Reassurance shield after the 392 junction. 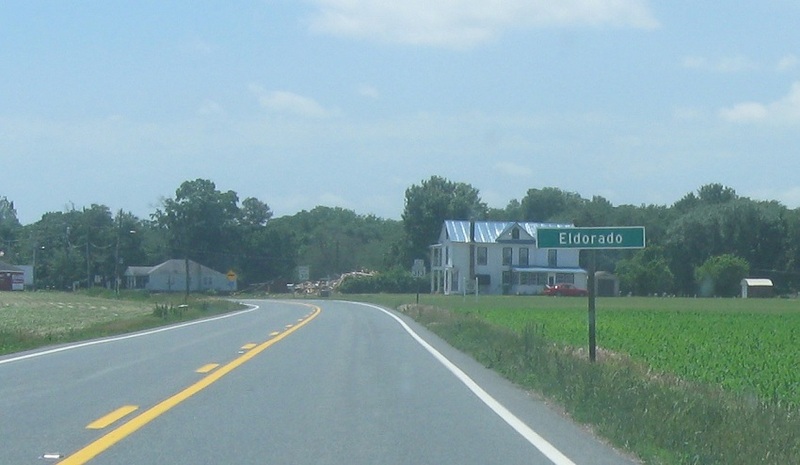 A couple miles later, we’ll enter Eldorado. 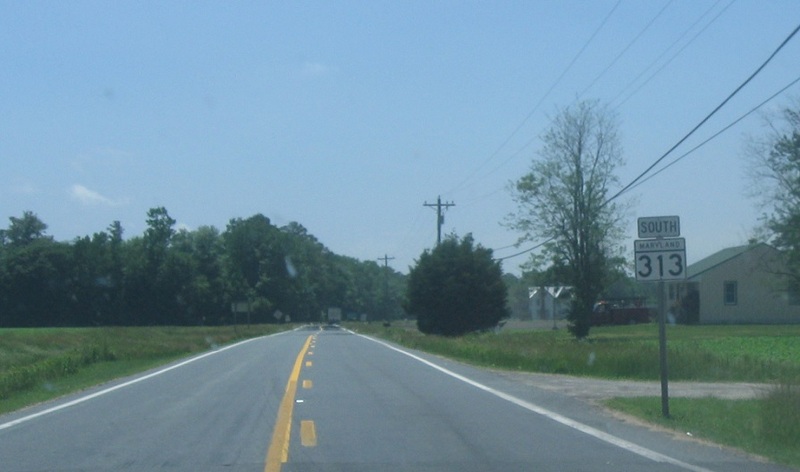 Up ahead, we’ll approach Maryland 14. 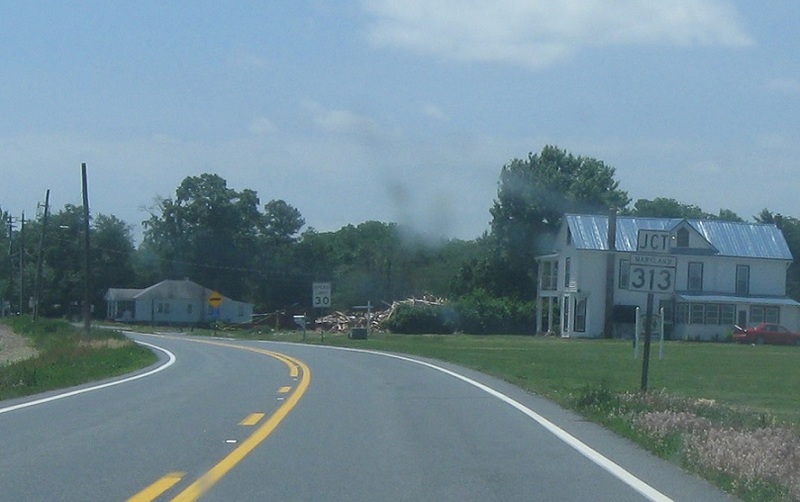 MD 313 is the route that turns though, so I guess that’s why it gets signed. Turn left to stay on 313 south. Stay straight for 14 west.